Hi friends! Hope you had a fantastic weekend. We spent our time with family, friends and biking (more on that later) around the neighborhood. 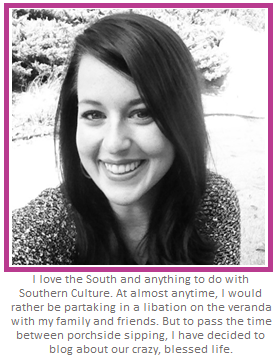 If you are a follower of BNSB, you know we are a couple that loves the good ole' United States of America. 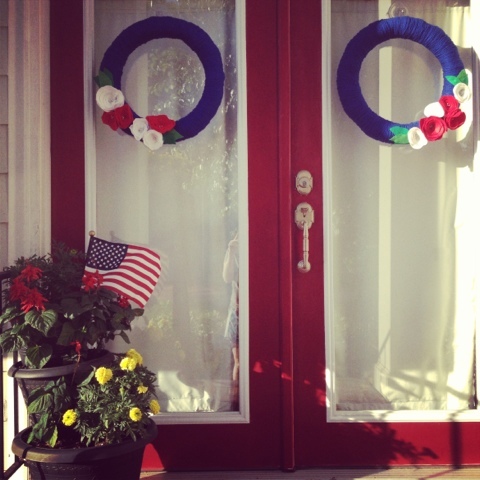 In fact, our house is decked out in patriotic flair from Memorial Day through Independence Day. A few weeks ago, I came across THIS on Pinterest. 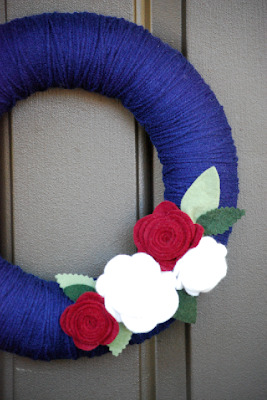 I thought Laura's simple yarn wreath would be perfect to make for my two front doors! The process is relatively simple, but took a really long time. 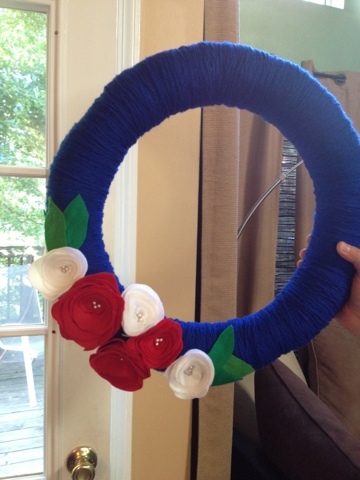 Basically you just wrap the yarn around the wreath over and over and over and over. 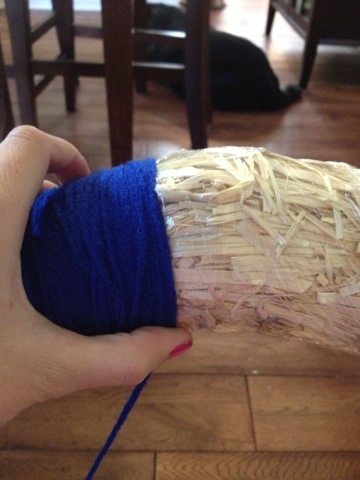 Every few inches, I would dab some hot glue on the back to keep the yarn in place. After a couple of hours of wrapping, your wreath will be completely covered. Hubs took pics of the felt flower making process, but then he got a new phone. Sadly, we didn't get the tutorial pics off before he traded them in. Don't fret.... I've got this covered. Basically you cut the felt in a spiral, closing in closer as you get toward the center. Then, you simply roll the spiral back up, pinching the center as you go. Dab some hot glue on the back of that mammajamma and you've got yourself a flower. I added some pearl push pins to the center of mine. In case my flower making instructions confused you, go to THIS LINK from Crafter's Anonymous Club. It's directions are pretty legit. I added some green felt leaves as well. Hubs thought I was a little crazy with my multiple hour yarn wrapping session, but I just love the way they pop with my red front doors. They aren't over the top patriotic either, so they will probably stick around a bit after 4th of July. Hope y'all have a great week! Talk soon! I love these! 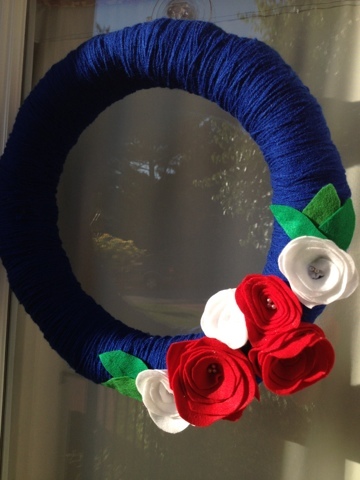 I made a flag yarn wrapped wreath last year using those grass wreaths and the grass kept poking through! It takes a lot of wrapping, I know - you did a great job!